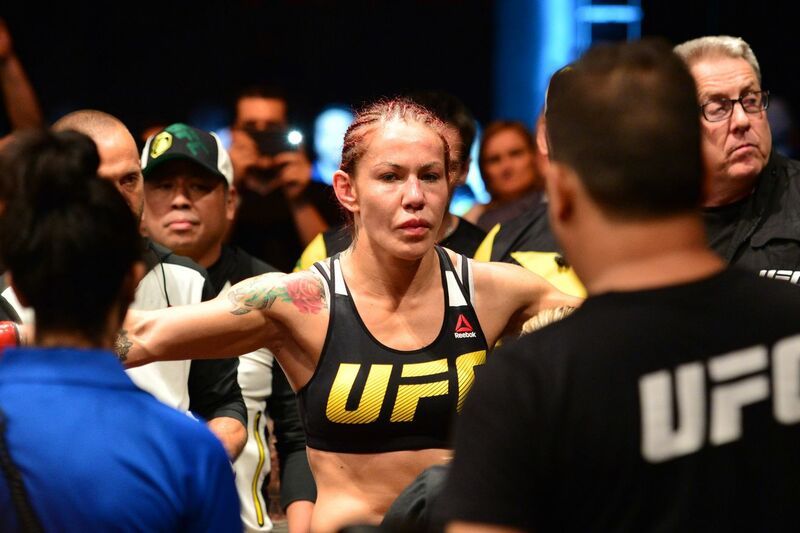 Cris Cyborg may not have a division to call home inside the world-famous Octagon, but in just two fights, the feared striker has left her imprint on Ultimate Fighting Championship (UFC). Her latest masterpiece came at UFC Fight Night 95, taking out a game Lina Lansberg in the second round of their headlining catchweight (140 pounds) via technical knockout (see it again here). Couple that with her first-round beatdown of Leslie Smith at UFC 198, and Cyborg is slowly, but surely, instilling fear on UFC roster. Her next fight is still unclear, as trying to book Cris for a UFC fight proves to be a challenge. Nevertheless, Cyborg says she will sit back and wait to see what comes her way. As she declared during the post-fight presser (full video replay here) via MMA Fighting, she is still more than ready to face former Bantamweight champion Ronda Rousey. As far as title aspirations go, Cyborg doesn’t really have any to speak of, as she says she is more than content with her Strikeforce and Invicta belts she has at home. And if earning UFC gold means having to drop down to 135 pounds, she’ll gladly pass. Plus, she is more interested in entertaining her fans with super fights.